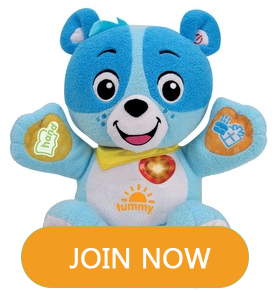 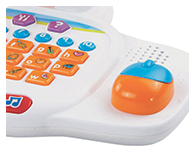 5 progressive learning categories Letters & Words, Numbers & Shapes, Animals & Foods, Logic & Games and Music Time. 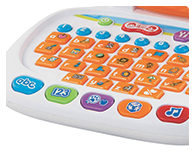 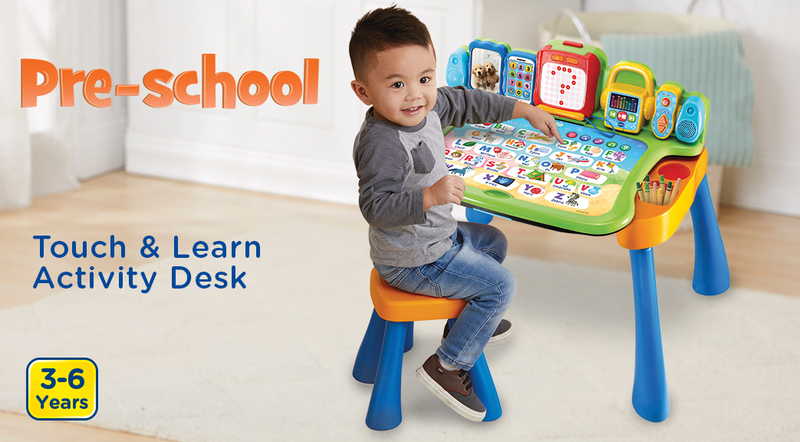 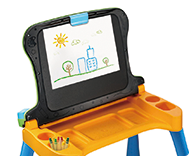 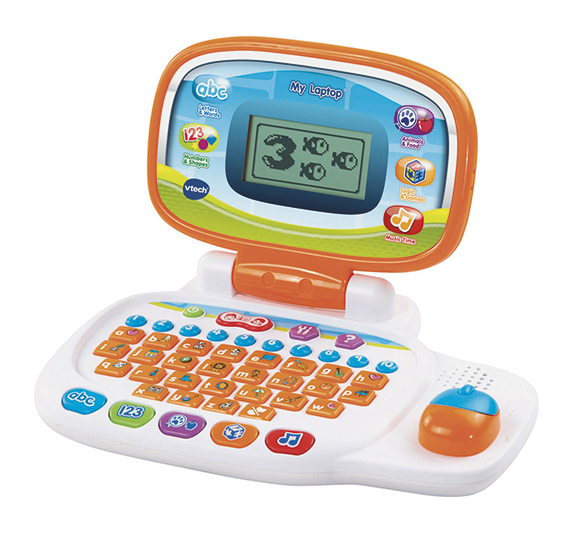 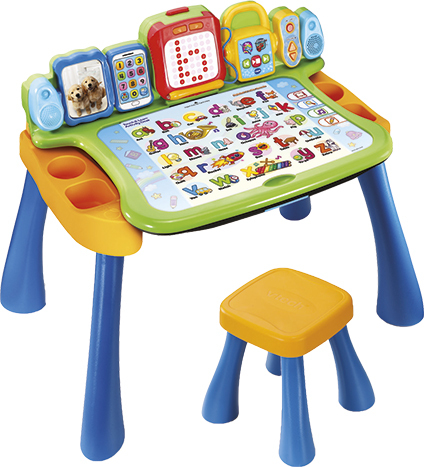 Includes interactive desktop, stylus, 4 double-sided touch pages and interactive LED display that teach pre-school curriculum and letter stroke order. 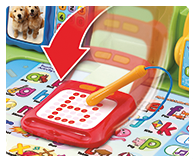 Interactive desktop and 4 double-sided touch pages that introduce letters, phonics, numbers, body parts, and more! 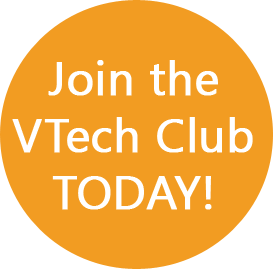 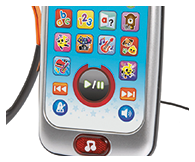 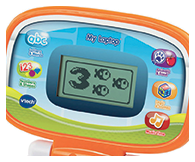 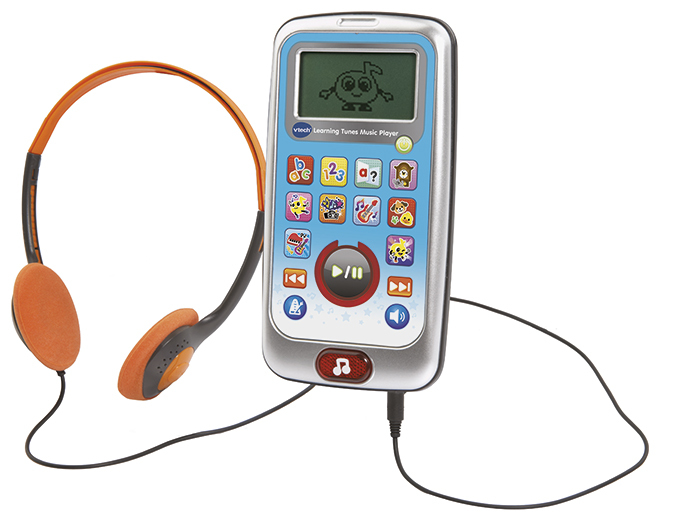 The learning Tunes Music Player by VTech is packed with lots of fun musical activities. 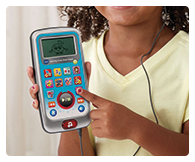 10 colourful activity buttons, light-up music button, one-touch play and pause controls, headphone jack and headphones. 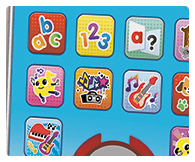 Curriculum themed songs teach abc's, numbers and colours. 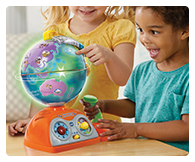 Brightly coloured, light up globe features 37 touch sensitive hotspots. 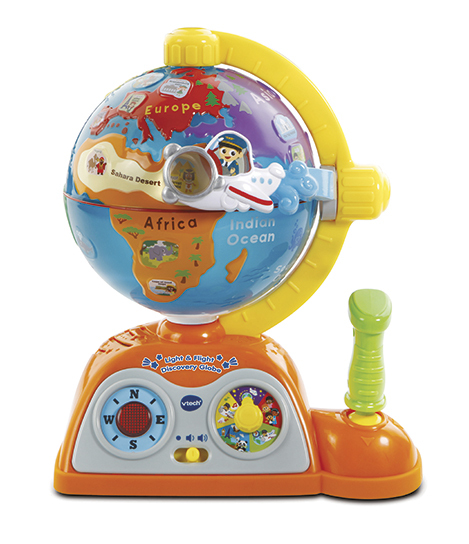 Fly the aeroplane to discover famous places, countries, peoples and more. 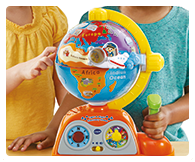 Explore and discover the world with this brightly coloured, light up, interactive globe featuring 37 touch sensitive hotspots. 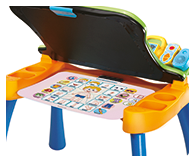 Fly the aeroplane to discover famous places, countries, peoples of the world, animals, and more through 5 modes of play. 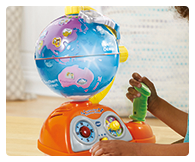 Globe magically light-ups up in different colours when it spins or depending on which hotspots you land on!